Istanbul is no stranger to great art; from miniatures, calligraphy, paper marbling, painting to ceramics and not to mention the breathtaking tiles in mosques, we are always surrounded by imagination, creativity and centuries old beauty. In the last 10 years, the city has gone through a big art boom and earned its much deserved place in the global art scene. Nowadays, there are more students enrolling to fine art programs in universities, new galleries opening up, art initiatives forming, artist residencies and competitions to support young artists. In such a great city with so many points of inspiration, it is difficult not to be amazed by the variety of talent and creative minds. 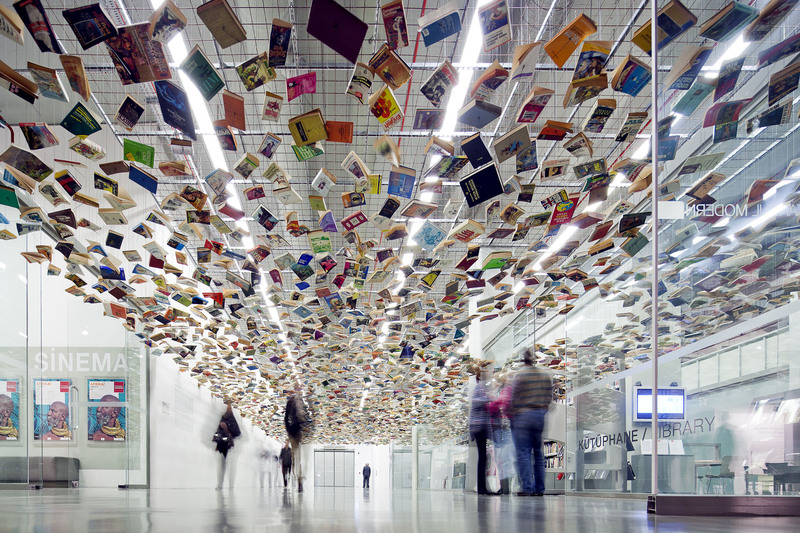 If you are interested in contemporary art, there are many galleries and museums to see in Istanbul. Fall is the best season to visit the city; galleries start the new season with great exhibitions and major art fairs take place in the city. In 2015, we have the 14th Istanbul Biennial running between 5 September-1 November, ArtInternational between 4-6 September, and Contemporary Istanbul between 12-15 November. With Turkish artists getting more international recognition and top galleries participating to the art fairs, Istanbul has become one of the hippest cities to discover new art. In the recent years, museums have hosted big names like Grayson Perry, Jean Miró, Anish Kapoor, Picasso, Magnum photographers as well as one-person shows of Turkish artists such as Füsun Onur and Mehmet Güleryüz. So which museums and galleries to visit during your visit? Here is a summary that will ensure that you hit all the important spots. Most galleries are located in two neighborhoods; Beyoğlu and Nişantaşı/Maçka, which will make browsing through them easy as pie. Istanbul’s first modern art museum was opened in 2004, with a permanent exhibition space to exhibit artworks from their collection as well as a photography gallery and another large gallery for rotating exhibitions. The museum also has a cinema where regular movie screenings take place, a library, a great shop and a wonderful restaurant. With breathtaking views overlooking the historic peninsula, Istanbul Modern Restaurant is open for lunch and dinner for non-visitors as well. Recent exhibitions to note include Mehmet Güleryüz, Şahin Kaygun, a retrospective of Barbara and Zafer Baran. 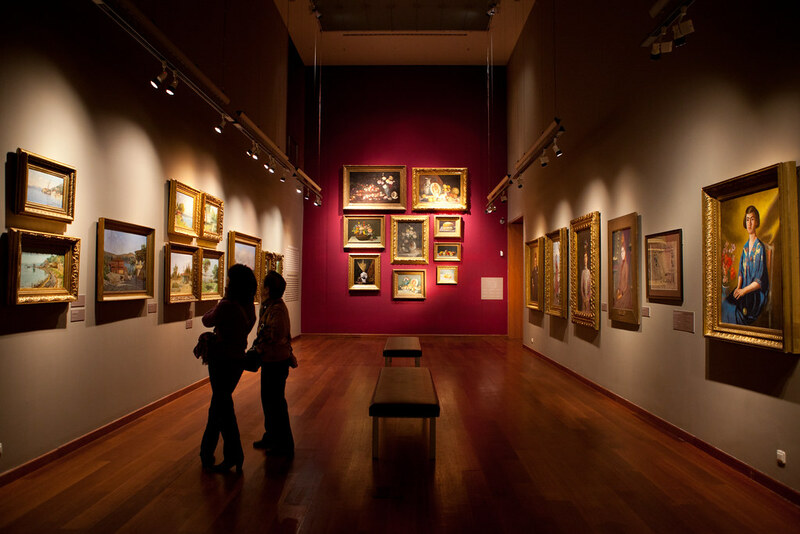 Located in Odakule, off of Istiklal Avenue, Pera Museum is known for its internationally recognized artist exhibitions as well as its permanent collections of Anatolian weights, Orientalist paintings, tiles and ceramics. Each exhibition is accompanied by a catalogue, and Pera Museum Press is a leader in rich and thoroughly researched art publications. The museum offers movie screenings that parallel with the exhibitions and as well as educational workshops to kids of all ages. Recent exhibitions to note include Cecil Beaton, Alberto Giacometti, Andy Warhol and Stephen Chambers. Owned by the Koç Family Foundation, ARTER is one of the leading contemporary art institutions in Istanbul. Solo exhibitions of Turkish and international artists as well as group shows are exhibited at ARTER, with different curators for each exhibition. 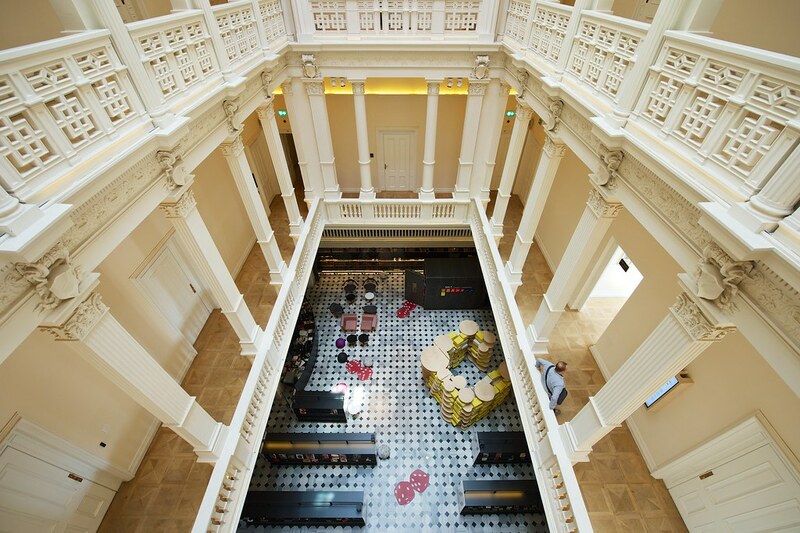 The museum stands out in the heart of Istiklal Avenue with its floor to ceiling glass entrance. 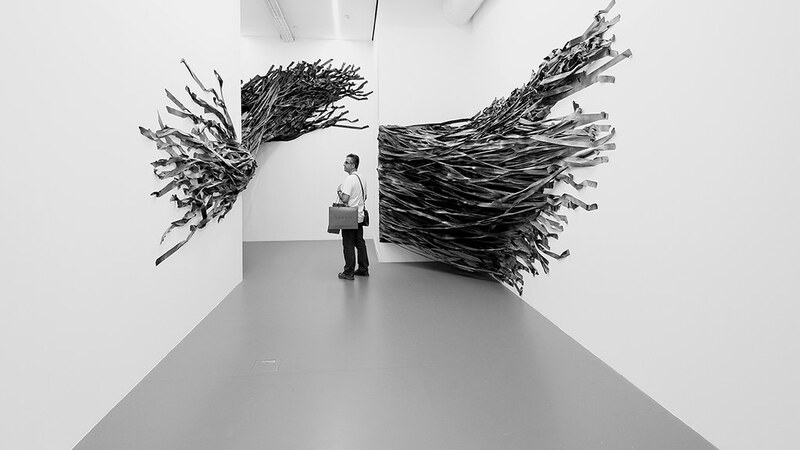 Recent exhibitions to note are Marc Quinn, Füsun Onur, Ali Kazma and Mona Hatoum. Koç Foundation is in the works of building an enormous contemporary museum in the Dolapdere neighborhood, due to open in 2017. Each exhibition is accompanied by a rich catalogue that is distributed free of charge on the opening night. Considered as Istanbul’s best contemporary art institution, SALT stands out with its high quality exhibitions of international caliber. The non-profit institution and research center is run by director Vasıf Kortun, considered as one of the most powerful art professionals by ArtReview. The institution is comprised of two buildings in Istanbul and one in Ankara. SALT Beyoğlu is on Istiklal Avenue and is the main exhibition and event space, with an extensive book store called Robinson Crusoe and a cinema. SALT Galata is located in a 19th century historical building on Bankalar Avenue that was home to the Ottoman Bank. SALT Research, the Ottoman Bank Museum and Neolokal, the great restaurant of chef Maksut Aşkar, are also located here. This museum has the best location in town; Emirgan neighborhood on the Bosphorus. Part of the Sakıp Sabancı University, SSM has a extensive permanent collection of calligraphy, Korans, illuminated manuscripts, Iznik tiles, early Turkish painting as well as decorative art of the 18th and 19th century. The temporary exhibitions program has hosted artists like Miró, Monet, Abidin Dino and many more. SSM is also a wonderful museum to visit with children as each exhibition is accompanied by a great education program. In Beyoğlu galleries are distributed between Istiklal Avenue, Cihangir and Tophane. First stop should be Mısır Apartment near Galatasaray on Istiklal Avenue where you can visit several galleries at once. Here check out Galeri Zilberman, Galeri Nev Istanbul, Pi Artworks. Other galleries that you must visit near Istiklal are Öktem&Aykut, Sanatorium, ALAN Istanbul, Galerist and BLOK Art Space. If you head towards Cihangir, you can see great exhibitions at Pilot, Rodeo, Galeri G-Art and The Empire Project. On the way down from Galatasaray towards Karaköy is Boğazkesen Avenue, home to several galleries, coffee shops and boutiques. Here, visit Galeri Apel, Daire Sanat, Pg Art Gallery. Further down in Karaköy you have artSümer, Space Debris Art, DEPO, Krampf Gallery and Istanbul‘74. Nişantaşı and the close by Maçka neighborhoods are ideal for a leisurely day to check out cafes, bookstores and do some shopping, but also have their fare share of art galleries. Here you can visit art ON Istanbul, C.A.M. Galeri, Rampa, Kuad Gallery, 44A, Dirimart, x-ist, Kare Art, Operation Room, Merkür and SODA. Here you have the a comprehensive list of which galleries and museums to visit in Istanbul, if you are a contemporary art enthusiast. Note that by the time you visit this great city, a handful of new galleries might have popped up as this is a vibrant city with a hunger for creativity and beauty. Most galleries are open Tuesday through Saturday between the hours of 11:00 and 19:00, but always check their website for up to date information and private appointment times. Where can you buy art from local artists? What is so special about Istanbul? What should I do, see, eat and buy in Galata?